Well I for one LOVED the show, and am going again in Philly tonite, here are some of my videos from the show. As always I apologize for not having the entire song, but as much as I want a video to remember the show by I can't bring myself to be a cameraman the entire song, I want to put the camera down and just ENJOY the moment. Apparently the girl who gets up on stage is known to you here as I saw Sharon say something to her after the show. Great job! I am always thankful to people like you who spend time shooting the show so that I can follow the tour beyond the shows I was able to see in person. Looked at the youtube video of Rockin' in the USA yesterday, classic!! He was genuinely amused. Thanks for capturing that moment. Made me laugh...and wish I had been there!! ...it was an amazing experience and I had soooo much fun with him! I've seen John so many times throughout the years (been a fan since 1984) and he just keeps getting better and better. 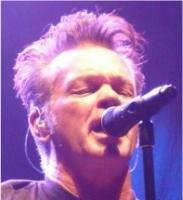 Thanks to Mellencamp.com to allow things like this to happen for his fans.